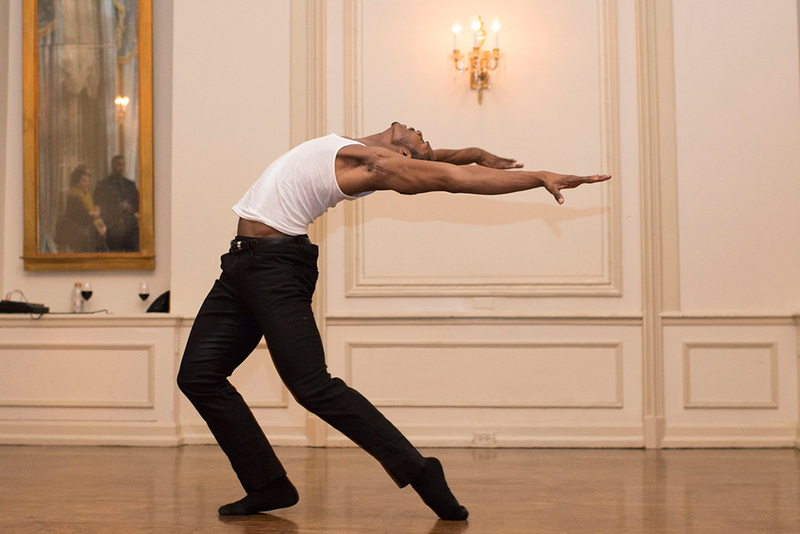 UMKC Conservatory Dancer John Swapshire performs at Hello Art’s Fifth Anniversary event in February. 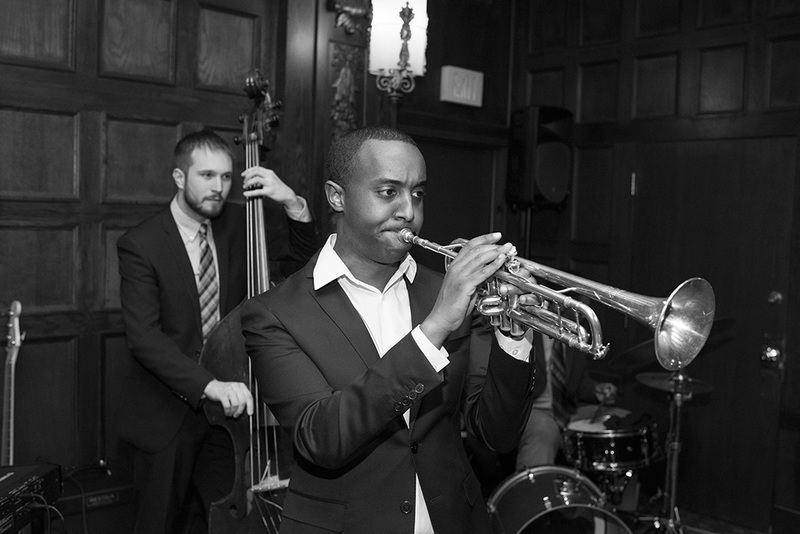 Herman Mehari performs at Hello Art’s Fifth Anniversary event. 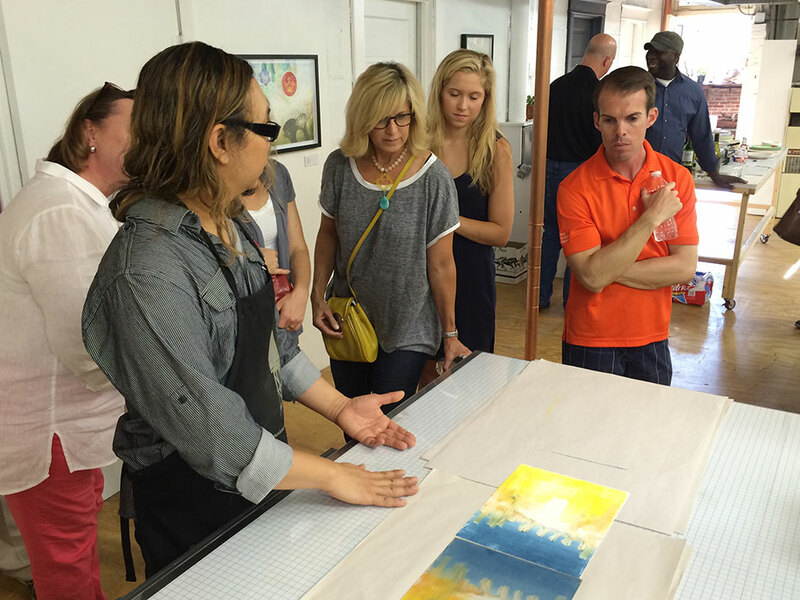 Hello Art guests attending Studio Visit and Printmaking Demonstration with Heinrich Toh. 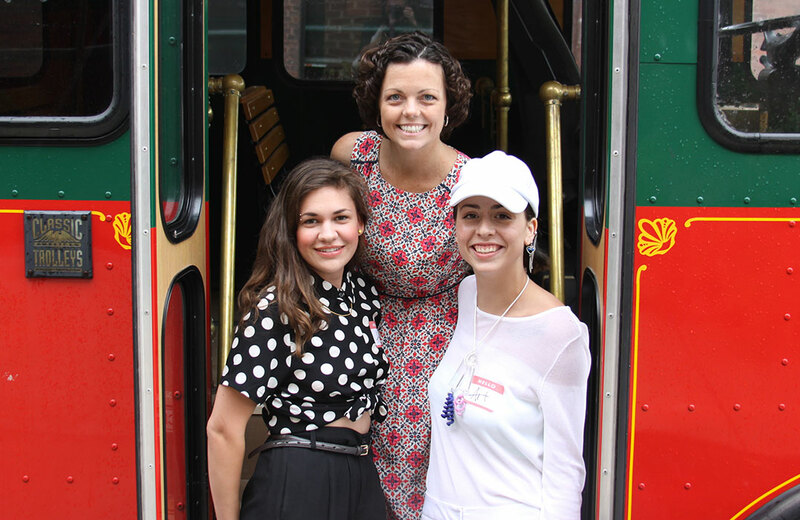 Kelly Jander (middle) poses with Carrie Riehl and Emily Kenyon, two local artists who regularly serve as trolley docents on First Friday and co-curate events. Artist Miki Baird welcomes trolley guests into her studio on First Friday. Kelly Jander understands why people might be wary of the art world, if only because they haven’t been properly introduced to it. Jander’s suggestion: Start with Hello Art, a non-profit organization devoted to broadening active participation in the Kansas City art community. As founding executive director of Hello Art, Jander has spent the last five years working with a dedicated team of volunteers and sponsors to break through cultural barriers that could otherwise prevent Kansas Citians from becoming art fans. That audience is most visible during a teeming First Friday in the Crossroads Arts District, where monthly Hello Art trolley tours transport the group’s members to designated galleries and other spaces featuring a variety of visual artists and musical performers in an approachable atmosphere. About 10 corporate sponsors provide key financial support to Hello Art. Indeed, Jander views First Friday as the “gateway” to Hello Art and other scheduled activities. Those include museum curator talks and tours of art collections in people’s homes, as well as theater performances that incorporate backstage visits and post-show talkbacks. 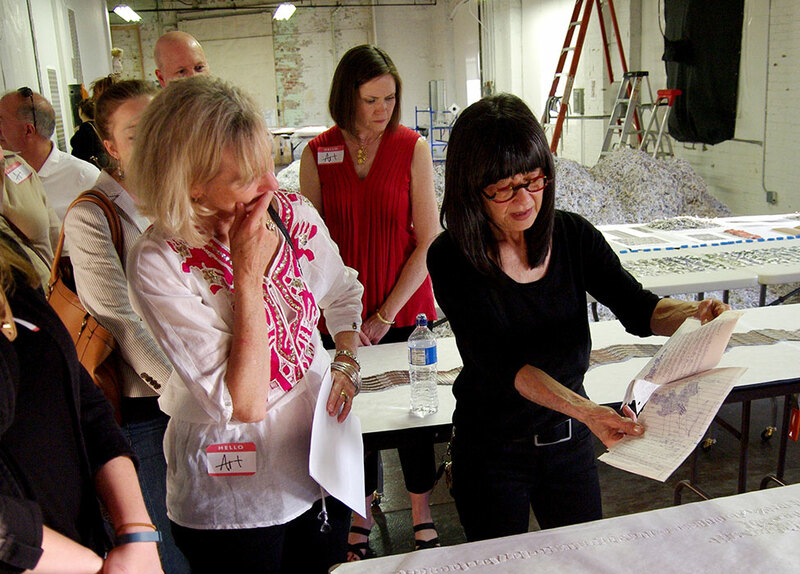 The most meaningful opportunity for Hello Art members to connect with artists may come when visiting their private studios. Kansas City abstract painter Madeline Gallucci recently hosted such an event as the 2014-2015 Artist in Residence at the Hotel Phillips. Hello Art studio visits also give artists a chance to sell their art, said David Oliver, president of the board of directors of Hello Art. Jander agrees that working artists need to make money, but their success isn’t really about the immediate sell.